Under director Kully Thiarai, National Theatre Wales is sharpening its resolve to be a people’s theatre. Tide Whisperer, a new site-specific work by Louise Wallwein, demonstrates how that entails a willingness to broach the most urgent and challenging issues of our time. 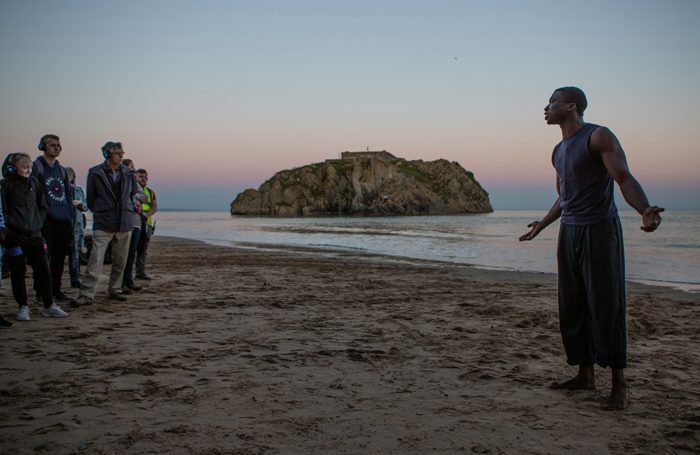 Led in groups through Tenby town centre to the beach, then the harbour – some travelling by boat – the audience encounter a series of individuals who relate the trauma of displacement in lonely monologue. 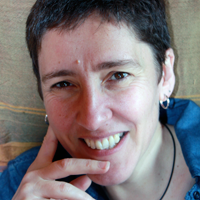 A mother fleeing the Vietnam war (Lourdes Faberes); a man rendered homeless by global capitalism (Ezra Faroque Khan); another seeking freedom from oppression, ensnared himself in people trafficking (Ebenezer Gyau); and, most shamefully close to home, an elderly Windrush Cardiffian threatened with deportation (Susan Aderin). Deploying language from the poetic to the blatantly direct, their stories depict appalling degradation, racism and brutal loss, yet also courage, beauty and hope as the question is posed: do we – like the fisherman (Ioan Hefin), mayor (Dyfan Roberts) and chorus of local people – stand with refugees and immigrants as the tide of public opinion turns? Experienced from dry land, the stories are moving and thought-provoking, executed smoothly albeit without clear dramatic rationale by the NTW team. Speech and music are relayed via headphones (by sound designer Mike Beer and composer John Hardy), enhancing an apt impression of both closeness and distance. The message is ultimately uplifting as the harbour becomes a place of existential safety, and a metaphor for humanity’s better community instincts. While punches sometimes feel pulled – especially at the final scene – the crucial point remains that such safety relies on our openness to hearing the voices of the dispossessed, and to acting in their defence.